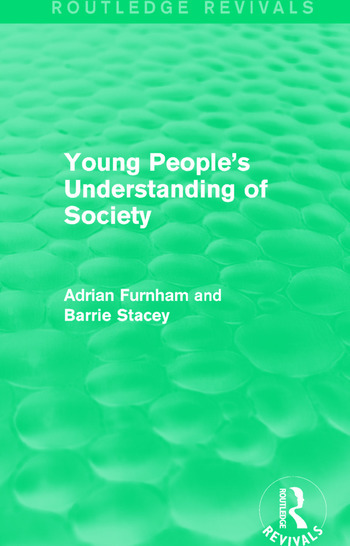 First published in 1991, this book represents the first wide-ranging review of young people’s understanding of the social world and the functioning of society. Taking a social cognitive view of adolescence, it focuses on the processes by which young people learn to understand other people’s thoughts, emotions, intentions and behaviour. Concentrating on the social world of politics, economics, work, gender and religion, the authors cover such issues as: politics and government; work and unemployment; law and legislative matters; religion; marriage and the family; social class; and racial and ethnic differences. This work will be of interest to students of sociology and psychology.